As a rule when visiting a new city I like to book onto a city tour – it is a great way to get your bearings and learn a little bit about the history and local culture. 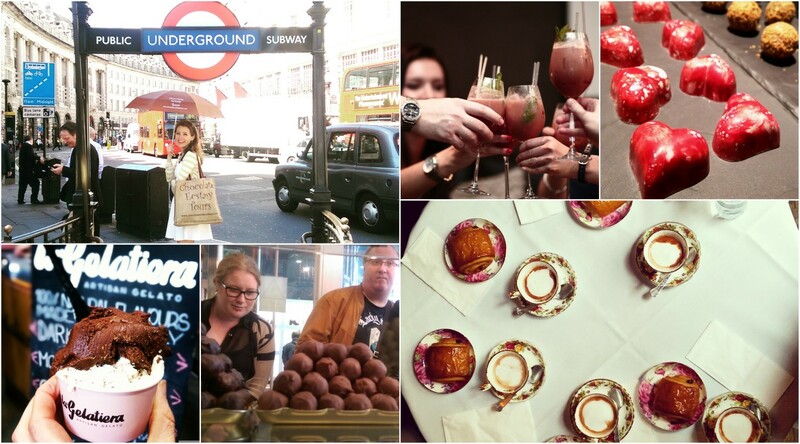 However they can sometimes lack a little imagination so I am always on the look out for a tour with a little je ne sais quoi and I am pleased to say that my hunt has been rewarded with the discovery of London’s Chocolate Ecstasy Tours – mmmmmm! 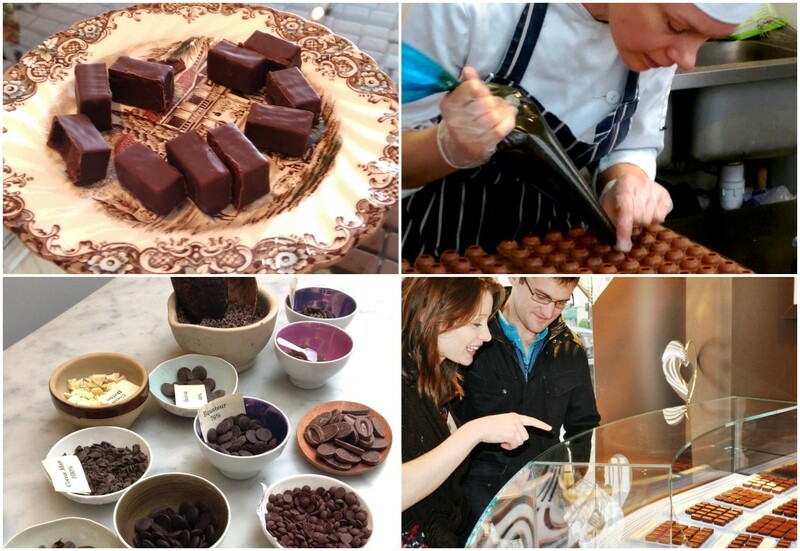 Chocolate Ecstasy Tours began in 2005, the founder, Jennifer Earle, wrote a list of things she loved which included chocolate, meeting people, talking, eating and London. From this she brainstormed how she could start a business and – voila! – Chocolate Ecstasy Tours was born. 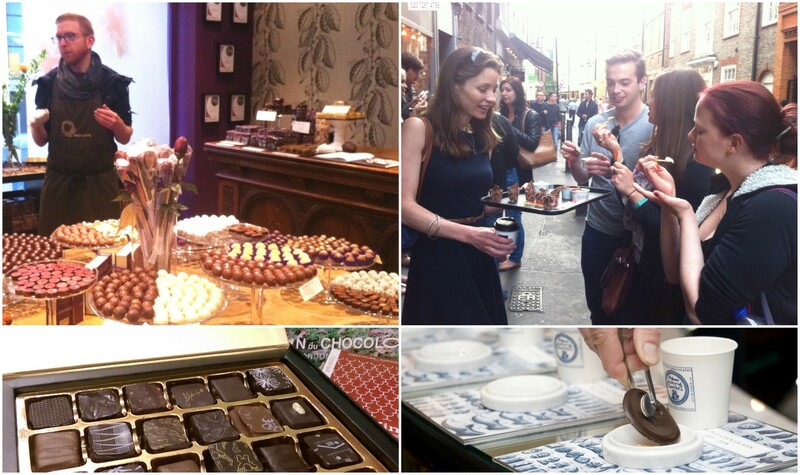 It began as a part time hobby and attracted other passionate chocoholics to join her guiding some of the tours as well. Now Jennifer spends the majority of her time guiding tours and tastings, judging chocolate and other food awards, tasting and consulting for various chocolate companies and travelling to attend conferences or visit plantations, boutiques and factories in the UK and beyond. In short, she is obsessed with chocolate. All of the team love chocolate. They are also super-friendly, genuine people who care about guests having a wonderful time. Many of them are experienced tour guides, but none of them will deliver a lecture. The tours are personal small groups so they are able to tailor the information to what people are most interested in learning about. They research every area thoroughly before launching a tour, ensuring they’re well-versed in local history and armed with a collection of fascinating stories and obscure facts to entertain you en route. Many guests – especially locals! – say this is their favourite part of the tours. The best bit they guarantee that you leave the Chocolate Ecstasy Tour completely full of chocolate. Apparently some guests start to falter along the way – who are these people(?) – if this is the case the team provide crackers to help you try more! What’s next? 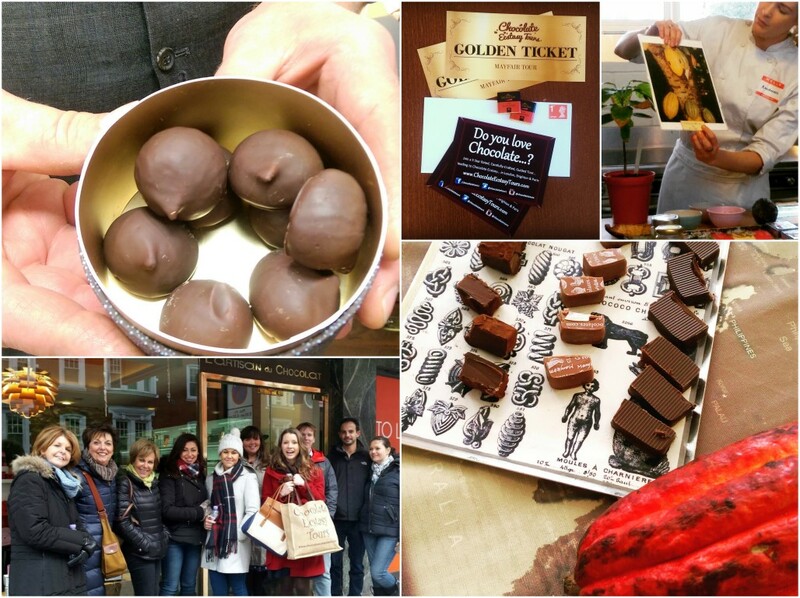 Not content with just chocolate and London, Jennifer and her awesome guides are on a mission to support and explore chocolate and other fine foods in the UK. At the end of 2016 she launched Taste Tripper which aims to connect people to high quality food and drink retailers, first in London and then beyond.